"He deserves everything in the world that we can give him and more." One night, some animal rescuers in Spain got an urgent call from the local police. 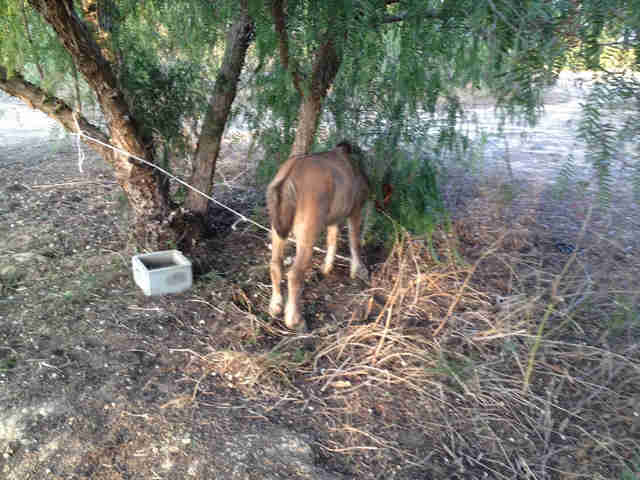 A pony had been spotted tethered to a tree on the streets of Algorfa and just left there by his owners. 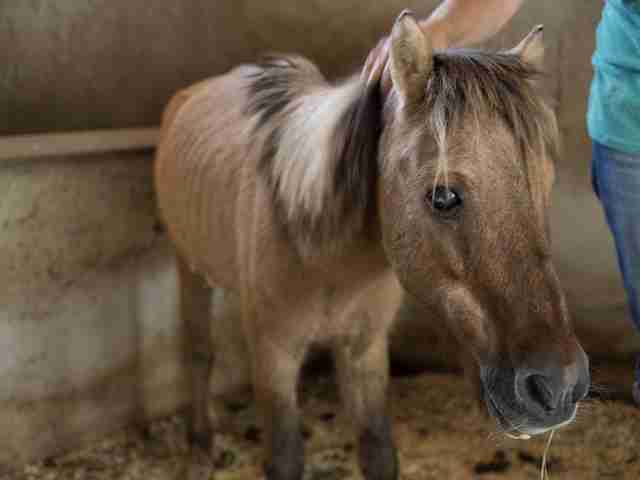 "He was tied to a tree with no food or water, with his head shoved in a bush to try and keep the flies out of his eyes," Easy Horse Care Rescue Center (EHCRC) wrote. The animal wouldn't even lift his head when people arrived to help him. 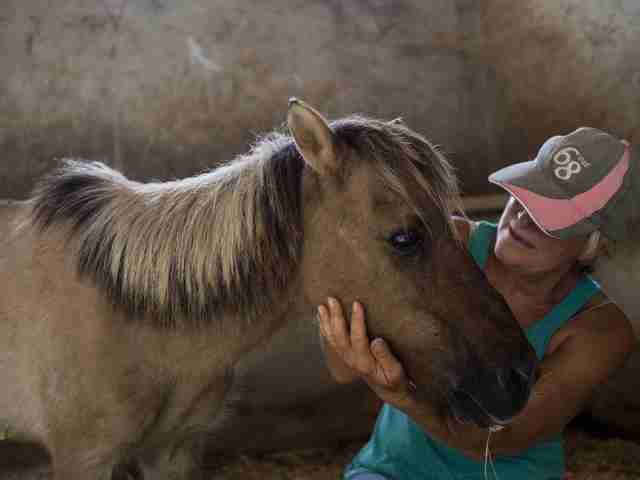 When rescuers from the sanctuary arrived, they saw the pony was old, probably around 20, and had some marks of mistreatment and neglect. His eye was very infected and he had a scar on his neck that appeared to have been caused by being hit by his former owners. "They likely just tied him to a tree and left him," EHCRC wrote. "He has survived starvation, dehydration, standing out in the full sun, everything. He deserves everything in the world that we can give him and more." 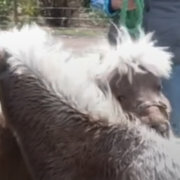 As rescuers led him to his new home at the sanctuary, it looked like the sad old pony could hardly believe it. "It's absolutely heartbreaking to think what he has suffered. We see terrible cases like this regularly, but it never gets any easier," EHCRC wrote. "We will give him anything and everything he needs, and a whole lot of love on top." After a few days at the sanctuary, the pony was already looking in better spirits. 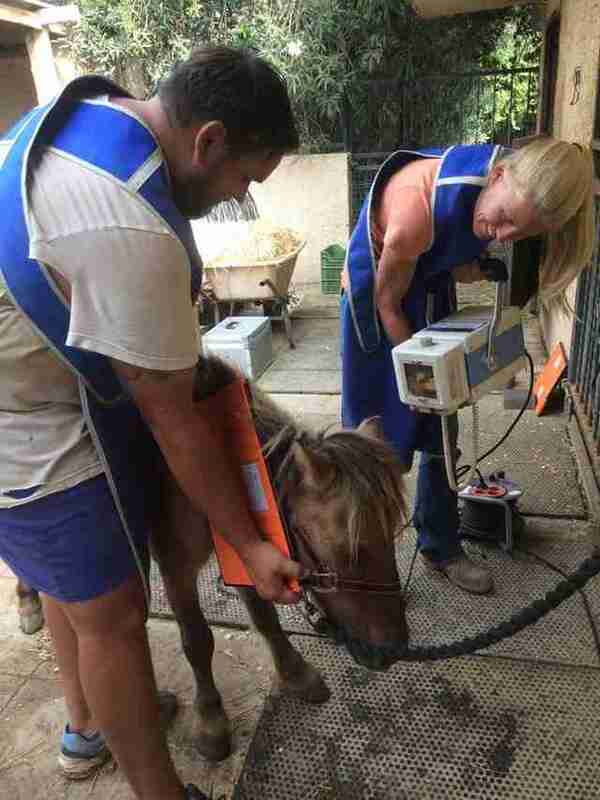 Rescuers discovered that the pony is mostly blind because of the abuse he suffered, and the reason he walks with a limp is because two of his vertebrae were fractured from being hit. But already he's lifting his head to nuzzle the people who saved him. And now his rescuers are trying to determine what his new name for his new life will be. 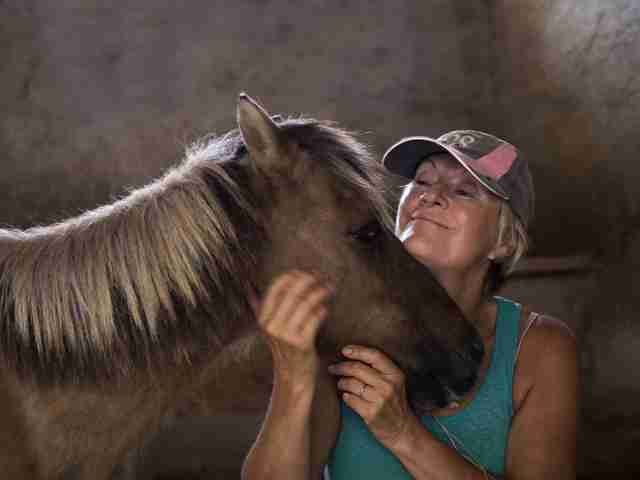 "He's munching away happily in our stables, probably thinking he's gone to heaven," the sanctuary wrote. 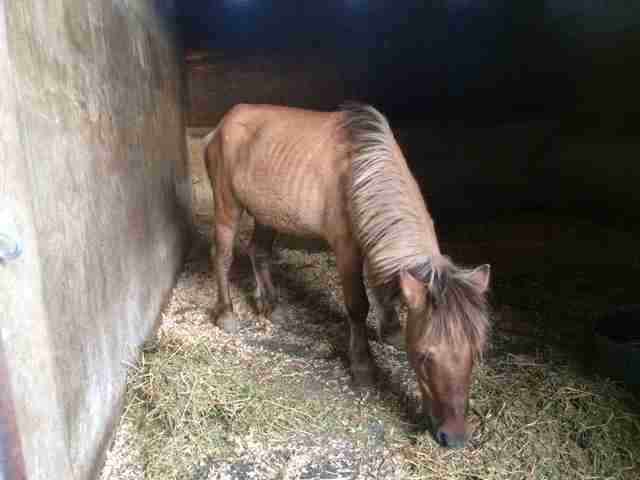 To thank EHCRC for giving this abused old pony a whole new life, you can make a donation to his care.